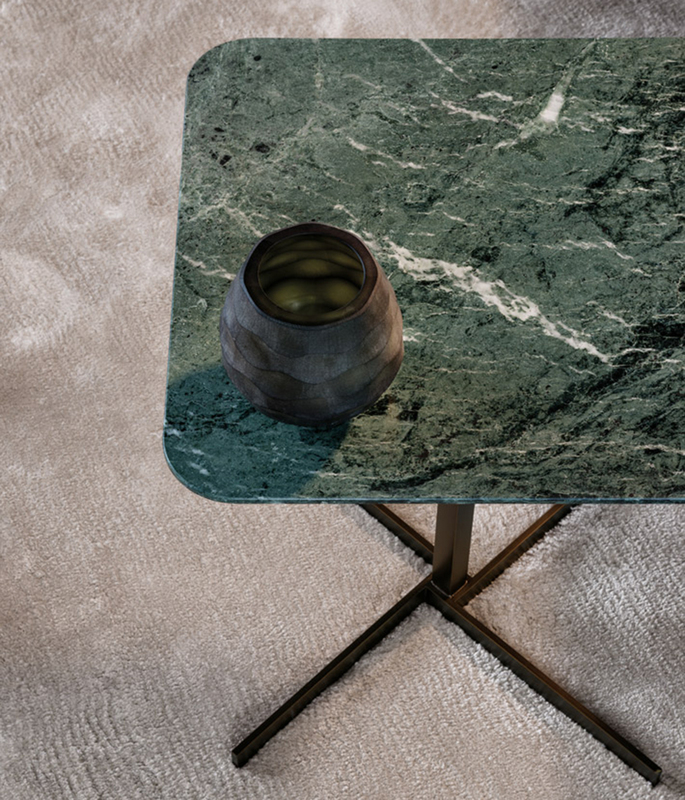 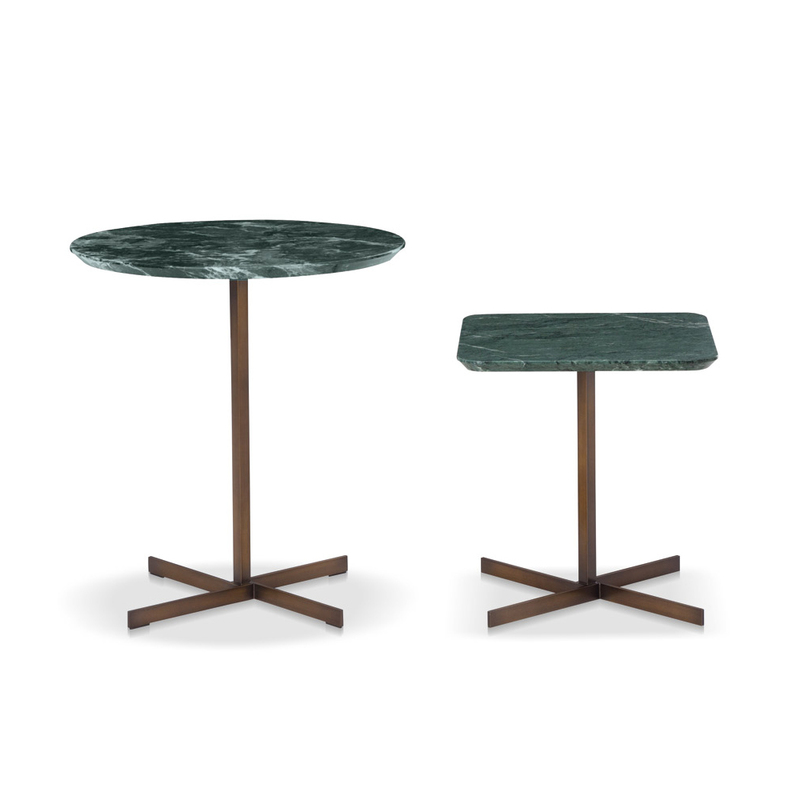 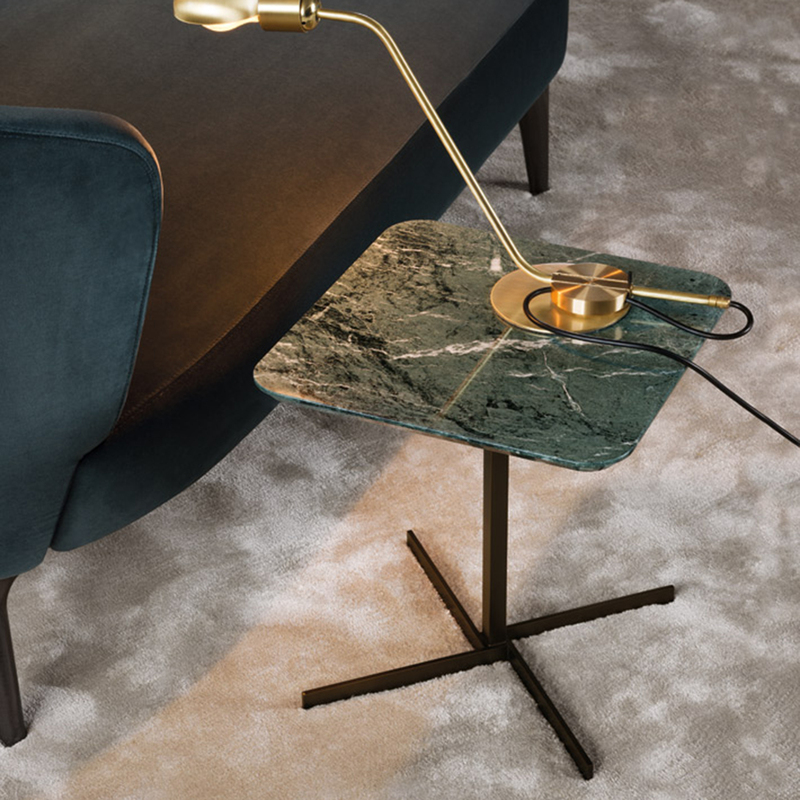 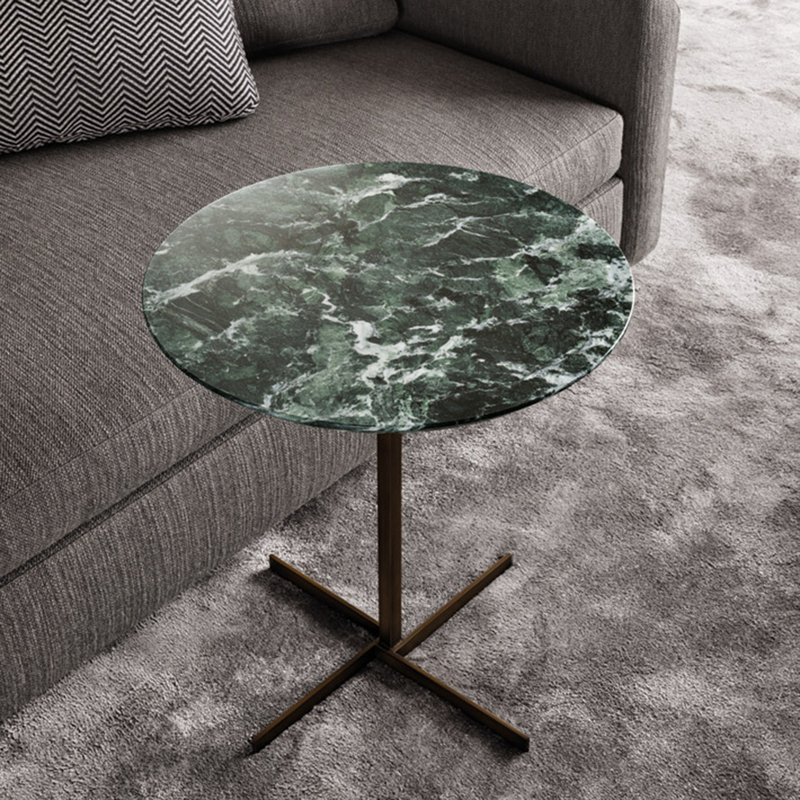 The studied simplicity of lines complements the choice of luxurious materials like Issogne marble, with its typical shades of green, used for the beveled edge table top that rests on an elegant bronze-painted metal base with a cross intersection at floor level . 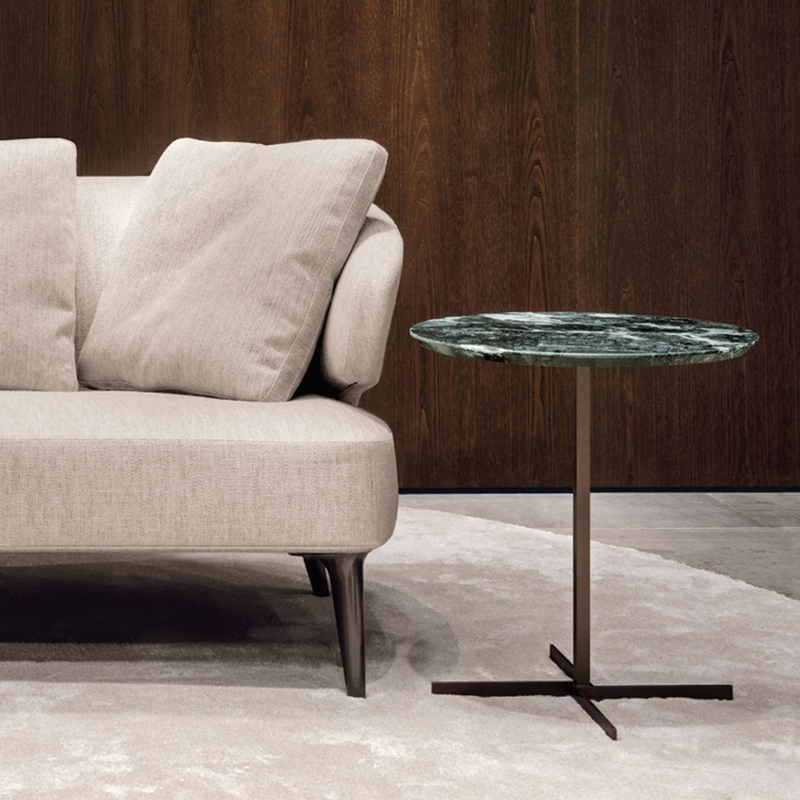 Joy is an accent table crafted to tastefully integrate with all the sofas and armchairs in the collection. 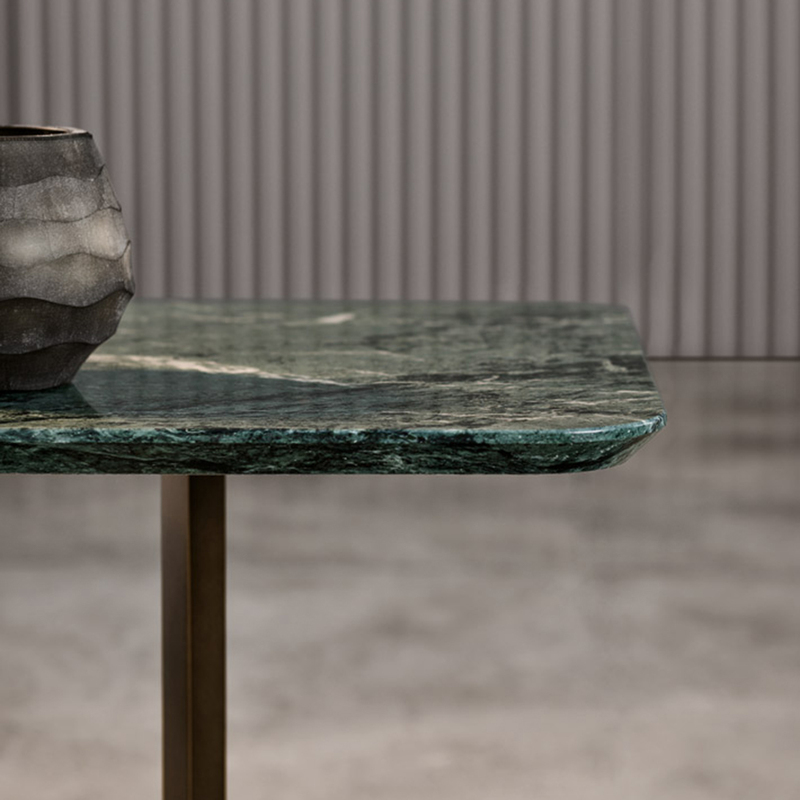 Top: available in Issogne marble, with matt polished surface.